Posted by RWDH on 06 03 2017. 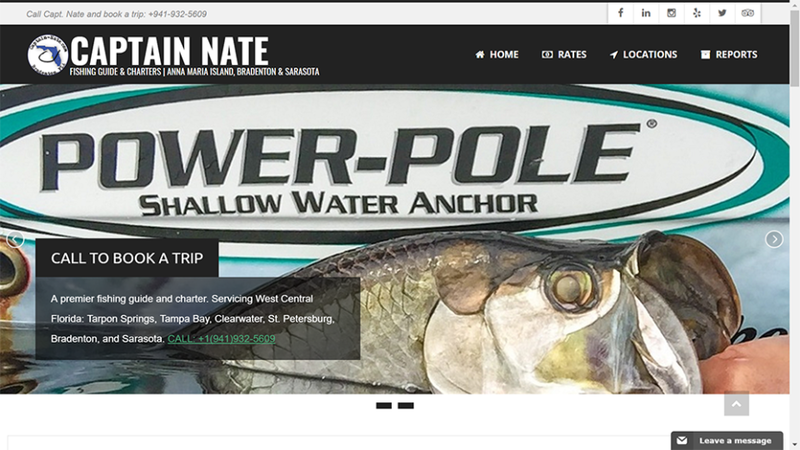 Captain Nate is an avid fisherman and professional fishing guide in the Bradenton Florida region. Nate was looking for an easy to work-with and accessibly web developer. After trying several other services, he was very cautious in picking the next company to provide him with the online service he needed to promote his business. After several talks over the phone and inline conversation we could finally call him our customer. We had the opportunity to work with Captain Nate. He was looking for a hassle free solution to suffice his business needs to host and have a reliable, fast, and secured managed WordPress presence and a fully managed server hosting. Better support: We work non-stop till the site was fully migrated and configured; ready to take traffic. Security: our server are tightly monitored and configure to avoid any intrusion; we also keep a close eye on the plugins installed on WP to prevent malformed request and any possible security breach. Performance: We are speed addicted and we want to make sure each of our servers are optimized to run WordPress and PHP/MySQL. Providing code optimization and cache delivery system to the service the fastest content possible. This is done by pre-compiling code with XCache or delivering content through CDN and leveraging CACHE system on the right places. Tracking: We have several forms of metrics to track who is coming to all sites. Ranging from Google Analytics, Google Webmaster, Bing Webmaster, Cloud Flare analytics and others. What is measured, is improved.